A process for planning a reconstruction of the Division/Church corridor within the Stevens Point city limits has been proceeding since January. The second public meeting took place on May 16, when several preliminary alternatives for the reconstruction were presented. On this page, you can find links to that meeting’s presentation slides, my blog write-ups about the project, and the city’s project website. A comment form distributed at that meeting sets a June 16 deadline for comments about that meeting to be submitted to project staff. The form itself is not necessary to provide comments. You can submit comments either by e-mail or by US Mail. PPSP has submitted two e-mails since the May 16 meeting. 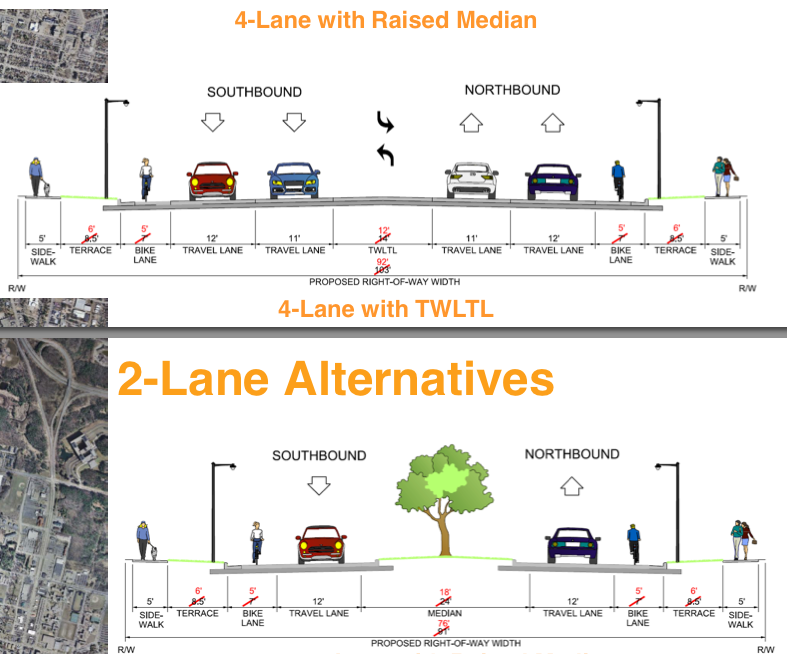 The most recent e-mail makes numerous specific suggestions about how to create alignments that provide adequate infrastructure for foot, bicycle, motor vehicle, and truck traffic. You can read that e-mail and all its suggestions here. If Poky Pedalers like some of my suggestions, or if you have your own suggestions to make, write them down and send them to the project staff. June 16 is coming fast, so be sure to make the infrastructure desires of Poky Pedalers heard. To keep up-to-date on this important public works project, keep checking back to the Division/Church St Corridor Study page under the Speak Your Poky item on the menu bar. I update that page when there’s new info to pass along. You can also find there all six e-mails PPSP has submitted to project staff with lots of ideas of how to rebuild the corridor to provide safe and comfortable bicycle access to homes and businesses along the corridor. The next public meeting will take place sometime this fall. I am expecting that more detailed block-by-block design alternatives will be presented then. Now is the time to Speak Your Poky and send comments to project staff if you want to see your ideas be part of the discussion at the next public meeting.